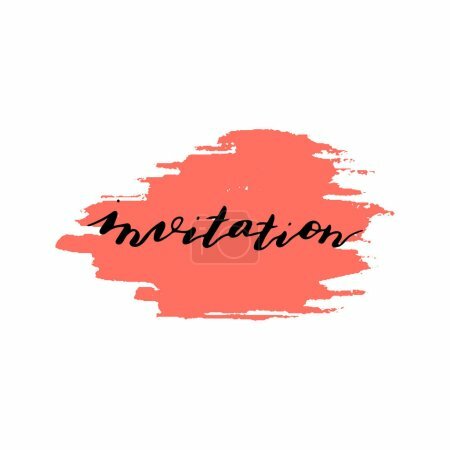 Custom hand lettering word invitation. Handwritten holiday greeting text. Stock vector illustration. Isolated on white background.